Nowadays, you might be depending on biotin to grow your hair healthy looking. This is because your hair suffers damaging effects that are caused by a number of factors such as dry scalp, lack of protein, pregnancy, physical stress and more. Biotin has been proven to strengthen and re-grow hair after removing the destructive effects that cause injury to your locks in the first place. While the product might be a great miracle worker, still, not many people take time out to understand what happens before using the drug and afterward. Therefore, let us take a look at how your hair looks before you started using the product and the after effect results it has on your mane. Your hair consists of a protein by the name of keratin that makes your locks look healthy and grows well. Biotin encourages keratin by making it stronger and thus giving luster and beauty to your hair while increasing your locks growth rate at the same time. A good portion of food stuff that you eat contains biotin. These food types involve liver, chicken, eggs, carrots, cheese, pork, cauliflower and so on. With your body already having some keratin in it, biotin will add more to it thus increasing the amount. When this happens, your hair growth will pick up and your locks will start showing its real beauty. There are a number of ways by which your damaged hair can stand out. Some of the reasons why your mane is damaged are because of shabby treatment of it on your part. Other ways your hair can get damaged is because of stress that you are going through or certain sicknesses you might be experiencing. Here are a number of different damage patterns that can be associated with your hair. Split ends are common ways hair shows damaging effects that will end up ruining the loveliness of your locks. Split ends usually involve the ends of your hair splitting into two or three fragmented parts. The roots may look full and voluminous, but the ends are thin looking. If your curls are suffering from the ravaging damages of split ends then you need to find a suitable treatment for it such as what biotin offers. Your hair was created to be flexible because of the elasticity it possesses and this is more evident when the hair is wet. If your hair stretches when wet and breaks easily, it means your elasticity is gone. Regular use of the product can bring back elasticity to your tresses. If your hair absorbs too many chemical treatments such as heat applications, coloring and items used to straighten hairs with then your locks can easily lose its strength and start showing signs of becoming overly porous. In addition, if you should one day dye your hair, and you notice the damaged section of your curls start processing the dye quicker than the healthy section does, it means your hair is losing its porous state. The biotin product can stop your hair from losing its porous state by adding keratin to it, which will strengthen and build your mane back to its former glory. Unruly tangles is a sure sign that your hair is losing its health and therefore needs some booster treatment to get it back up. Tangles can be the result of a number of issues with your hair such as dryness, split ends, lack of elasticity and so on. You may be better off taking a trim before trying to treat your curls. Once you cut your hair to a more manageable state, the treatment you use will stand a better chance of working quicker. If your hair is brittle, dry and has no moisture it is sending you a message that you are carrying unhealthy locks. Your hair is supposed to be soft as well as supple and easy to comb. 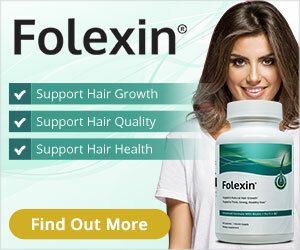 The most appealing result after using biotin that you will notice is the new growth of hair on your head. For most people, the new growth starts at the crown of their head as they start noticing fresh “baby hairs” sprouting up. Eventually, those baby hairs will become mature tresses and turn your locks into mature healthy looking manes. Biotin used right can deal with split ends, lack of hair elasticity, tangled mane, dry and brittle scalp. Your hair will receive the strength it needs to grow and the product will promote strong health benefits to your crown. You may not see any positive results until you continue using the product for about three weeks or more. Once you start seeing tiny glimpses of change taking place in your hair growth, it means that the hair treatment is working well with your type of body structure. After a while, you will start seeing more changes happening on your top. For some people, however, the results may differ mainly because their bodies react to the product differently. Some females might start experiencing side effects such as pimples or acne breakouts over their bodies. Others might start experiencing a sudden breakout of cold sweat happening to them. Another side effect some women experience is nausea. Not having a balanced diet might be one of the reasons why some people often get negative side effects. For the artifact to really work properly, you have to make sure to give your body a balanced diet mainly consisting of foods that contain biotin in them. Knowing biotin hair growth results before and after use can give you an edge in deciding which hair care product to use to treat your locks on your head. The decision you make can either give your hair a healthy or unhealthy foundation. While the product might be a great hair growth remedy, still it might not be suitable for you and using it can bring damage to your body instead of restoring your tresses to their former splendor. Therefore, lower the odds by first contacting your doctor for proper advice.